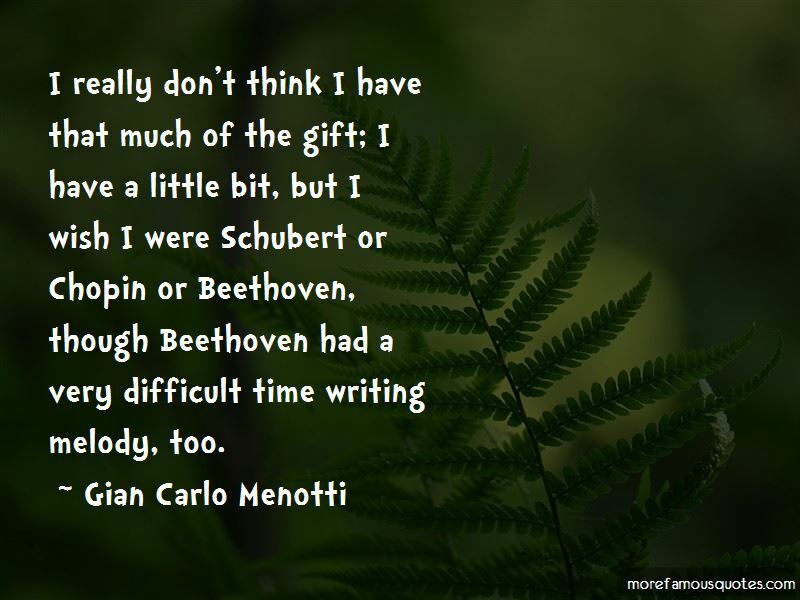 Enjoy the top 39 famous quotes, sayings and quotations by Gian Carlo Menotti. I have always felt that art, especially music, is but a demonstration of God. The Italians are very unmusical. If I go to a Protestant church in London or Amsterdam or listen to a black choir, I hear four-part harmony. Italians could never do that. In Italy, we all have to sing the melody because we cannot harmonise. The only thing that interests me in music is to be able to reach into the, let's call it, 'collective unconscious' of what is noblest in the human spirit, the way you find in the music of Mozart and Beethoven and Verdi that wonderful quality that not a note can be changed. Waiting and hoping are the whole of life, and as soon as a dream is realized it is destroyed. The Greeks said the artist doesn't actually have to travel and look around. You stay where God has put you, and you dig as deep as you can. This is what I've done. Writing beautiful melodies is not fashionable because it is very difficult to do. God gives you the gift of melody or He doesn't - it's as simple as that. I guess I am running the risk of becoming the Hans Christian Andersen of opera. I thought conceptual art was a joke. As a little boy of 3 or 4, I became lame. Something was wrong with my right leg. There are pictures of me being pulled around in a little wagon. The doctors didn't know what to do. So my nanny took me to the miraculous Madonna at Sacro Monte in Varese, the priest blessed me, and I walked. Love is born of faith, lives on hope, and dies of charity. 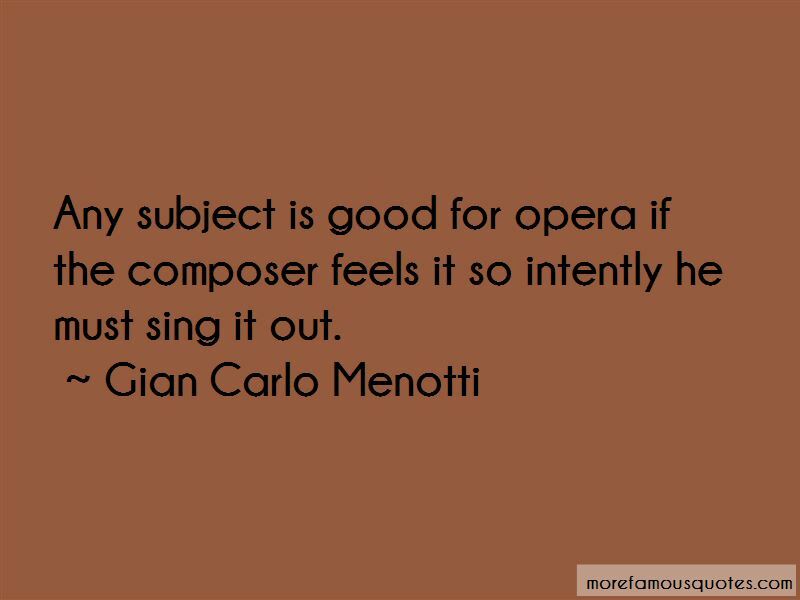 Want to see more pictures of Gian Carlo Menotti quotes? 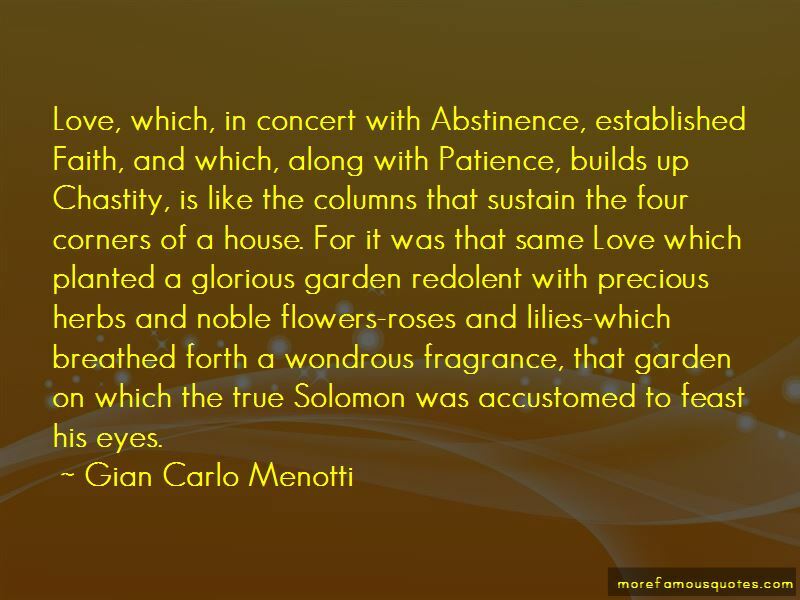 Click on image of Gian Carlo Menotti quotes to view full size.